Commercial galleries in Vancouver represent the primary visual arts market, and they’ve been doing a very fine job so far. Their commitment to professional and ethical practices has created one of the most impressive collections in Canada. They develop the livelihood and reputation of Canadian artists while enhancing the value and understanding of contemporary art within communities and cultivating the Vancouver art market. However, it’s not only Canadian artists you’ll find in Vancouver’s commercial galleries. Some of them managed to attract quite a few internationally renowned artists to sell their works in our city as well. We have to give commercial gallery owners credit. Starting a gallery is a risky business; eight out of ten times, it’s a money-losing situation. Most gallery owners tend to fall short of their dreams in less than six months. If they don’t sell, they close. This keeps them on the edge with the latest trends, because they’ll endanger themselves the minute they fall behind. They need to promote their artists to sell their works and keep up the business, which might seem a kind of twisted motivation, but I believe that this is currently one of the best options for many artists to make a breakthrough. I’ll try to present some of Vancouver’s commercial galleries that caught my eye. It’s yet further proof that Vancouver has a lot to offer in terms of galleries. You can also check some of my favourite Fine Arts, First Nations and Inuit, and Artist-run galleries. Jacana Gallery caught my eye for many reasons, but mainly because they pay an unusual amount of attention to contemporary Asian artists. I have to admit that I didn’t know much about contemporary Asian art, yet after a friend of mine convinced me it was worth my attention, I had to admit it is very intriguing. However, I have to warn you: it takes some time to get accustomed to it, but again, I probably take on new things more slowly, especially in arts. The thing I love about the Jacana’s interior is its lighting. They really nailed it. Some of the biggest and most famous galleries could learn from them how to present a art properly. If you’re not planning to buy anything but you’re looking for a beautiful place to hold an event in a modern venue, consider the gallery. The space is electrifying: it really shows the years of experience these people have with running a gallery. If you’re looking for a great piece of art to invest in, I think that you’ll find yours here very easily. 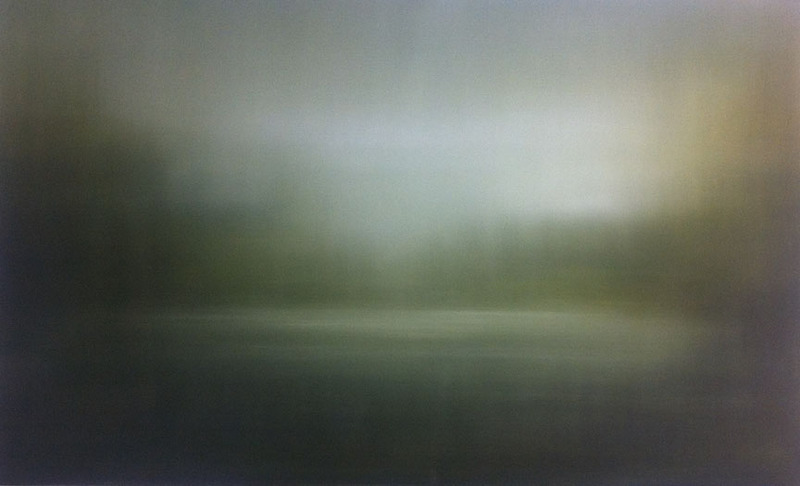 I had no intention of buying a painting when I first visited the gallery, and the mere fact that I considered buying a piece called Quiet Pond by Cybele Ironside was surprising for me. I guess that Jacana makes you want to own one of the paintings they’re displaying. You can find artists like James Olley, Kwan Yu, Kai McCall, Brad Woodfin, Rui Pimenta, Katina Huston, and many others inside this eye-catching gallery. The Federation of Canadian Artists (FCA) was founded in 1941 by a group of Canadian artists, including the Group of Seven luminary, Lawren Harris. The FCA continues to operate as a registered non-profit society with chapters throughout Canada. The Federation Gallery is featuring bi-monthly juried exhibitions of works by emerging and signature artists. There are two juried international shows held annually, Painting on the Edge and AIRS (Annual International Representational Show). Painting on the Edge will take place from August 14th to September 2nd and AIRS from October 9th to 28th this year. The FCA also occasionally holds other special collaborative shows with other art societies. New exhibitions are usually scheduled every two weeks throughout the year, which is very nice since not many galleries change their exhibitions as often as the FCA Gallery. The Federation Gallery is a 1,200-square-foot gallery in which approximately 20 to 25 exhibitions are presented each year. The majority of the exhibits represent the juried work from hundreds of FCA member artists across Canada and are organized around a broad theme rather than a specific medium. In the Federation Gallery, you can stumble upon pretty much anything from oils, acrylics, watercolours, mixed mediums, and drawings to mixed and original hand-pulled prints. From the current collection, I recommend devoting as much time as possible to the work of Masako Araki and Marney-Rose Edge, which I found very soothing and suitable for pretty much any type of household or person. Ayden Gallery is a contemporary fine art gallery located in downtown Vancouver, exhibiting the work of both established and emerging artists. Currently, Ayden Gallery is hosting one of the most interesting shows in the city, The Art of Giving – A Reimaging of TOMS, featuring Ben Tour, Camilla d’Errico, Mandy Tsung, Benson Musaev, Jose Rivas, Nomi Chi, Shwa, Jesseearly, Dedos, Scott Sueme, Russel Alton, Chris Barrett, Carla Dearman, and quite a few others. Ayden Gallery booked these prominent artists to interpret the meaning of giving using TOMS as the canvas. Partial Proceeds of TOMS shoes and sunglasses go to a Loving Spoonful. With every pair you purchase, TOMS will give a pair of new shoes to a child in need. One for One. Pretty cool, don’t you think? But that’s just the beginning of summer here. On August 10th, the Beautiful decay of life exhibition by Megan Majewski is going to open, and on the same day, Nomi Chi’s Enter the Void will be presented to the audience at Ayden. The opening nights of special exhibitions in the gallery is the best time to go, as the artist will be present and you get a chance to meet more art-loving Vancouverites. Ayden Gallery allows you to explore jewels from Alison Lilly, Andrew Young, Ben Tour, Caitlin Karolczak, Camilla d’Errico, Carla Dearman, Hsiao Ron Cheng, Indigo, J. Shea, Jana Brike, and many others. This gallery is fresh and daring with lots of local talents out here doing big things. When I was leaving Ayden, I had a very good feeling about Vancouver art once again. I felt a obligation to include at least one place out of the contemporary art range, and I chose Uno Langmann Gallery for two reasons. It is very personal and it holds a great variety of paintings. The gallery itself specializes in art from 18th, 19th, and early 20th century. The owner himself is Canada’s foremost specialist in North American and European paintings from the 18th, 19th, and early 20th centuries. Originally from Denmark, he has been a fixture of the local art and antiques community since he first went into business in 1968. In his 40th year in business, Uno Langmann was honoured to receive the 2007 Lifetime Achievement Award by the Art Dealer’s Association of Canada. The owner is not the only one that will be advising you if you decide to buy a piece in this gallery. Jeanette Langmann, President of the Art Dealers Association of Canada and board member of the Canadian Antique Dealers Association of Canada, and Joanne Fink, executive member of the South Granville Gallery Association, are also part of this highly qualified team. At first glance, the gallery itself doesn’t look like a place you’d want to spend your afternoon in; however, after a second look, you will reconsider — especially if you’re interested in British paintings from 19th century. I thought that I wouldn’t last more than two minutes with my extremely low attention span for old paintings, and I was seriously wrong. Some of these paintings are breathtaking. As a part of an International Vancouver Drawing Festival 2012, Gallery Jones is featuring work by Susanne Schossig and collaborative drawings by Rodney Konopaki & Rhonda Neufeld, called Mark-Making. This exhibition’s on until August 4th 2012 and is definitely worth visiting. Gallery Jones once again proved that they are both a bit quirky and a gorgeous place, with a great location and even better staff. The people working here are one of the main reasons I visit the gallery from time to time. They are very well informed about everything the gallery’s currently displaying, yet they don’t make you feel stupid for not knowing any of the things they spring on you. It creates a very relaxed and inspiring atmosphere — the kind of atmosphere I think every gallery should emanate. Gallery Jones is a bit different from other galleries I’ve presented to you mainly because of the type of art it displays. You can find quite skillful contemporary sculptors, like Brendan Tang, Tricia Cline, Hans Schüle, and Brad Howe amid the group of artists associated with this place. Of course, Gallery Jones is not only about contemporary sculpture, and I certainly didn’t want to draw that picture. It would be best, as with all the galleries, to take a look in person. I guarantee that you won’t be disappointed. The space is small but bright and open. The hours could be better, but of course there is still an individual appointment option for those who have a serious interest in buying. The new management continues to exhibit work by local photographers and artists. Their emphasis on photography and installations is quite extraordinary. I agree with the statement that they exhibit work that is often looked over in favour of the more traditional mediums you find at commercial galleries. The director of the Republic Gallery is an inspiring woman. Pantea Haghighi, born in Iran, immigrated with her family to Canada when she was 13. She earned a B.A. in art history, took some graduate-level courses, and then went to work for high-octane art dealer Monte Clark. “Monte taught me a lot,” she said in an interview for Straight back in 2007, only a year after starting a gallery. “I learned that there are two sides to the art world,” she adds, "one being a scholarly appreciation of the work and the other being the hard-nosed necessity of selling it.” She made it to one of the best art gallery directors in the city, and it’s jst thanks to this woman and her team that enough art-loving visitors climb two steep flights of stairs to keep this gallery running. Established in the heart of the South Granville Gallery Row in 2002, Kurbatoff Gallery is committed to the promotion of contemporary Canadian artists, from emerging and mid-career to well-established. One might ask what is so special about it then. This is the typical Vancouver commercial gallery — nothing special, right? I ought to explain why I chose this gallery to be the last in the list. Its traditional form is the exact reason. This is the most usual, hard-working Vancouver art gallery, selling art to locals for almost ten years now. They offer a diverse palette of paintings and sculptures and high-quality advisory service. Their current exhibition features a Group Show by gallery artists throughout July. You should at least go and have a look even if you don’t want to buy anything. I have three names for you: Montreal-born Elisabetta Fantome, Geoff Farnsworth from Kimberley, and Judith Geher, the Toronto-educated painter who is also my absolute favourite at Kurbatoff. Her acrylic paintings had me the moment I walked into the gallery. This entry was posted in Vancouver Blog on August 6, 2012 .